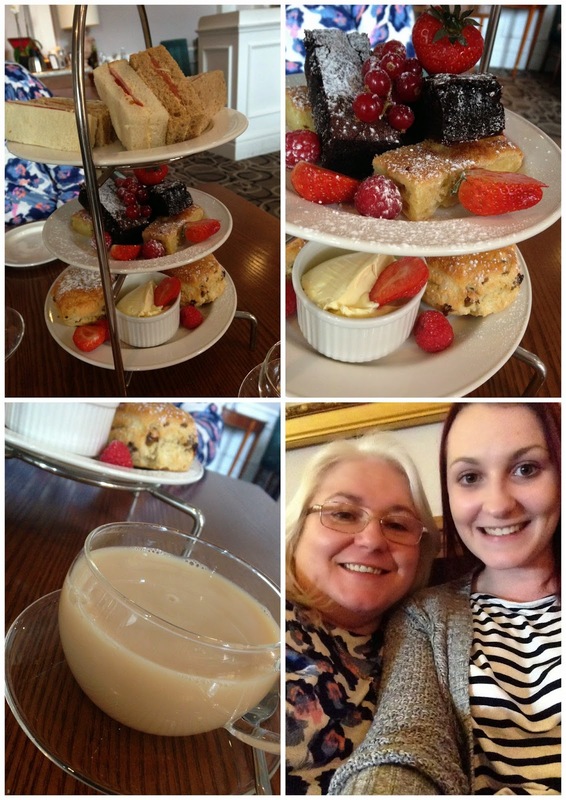 Last weekend, what with it being Easter & all that, my mum surprised me with a weekend away to the spa! We traveled quite a distance as mum had heard good reviews, the hotel was Hilton Puckrup Hall Spa & Golf Club Hotel located in Tewkesbury, Gloucester. Traffic wasn't so good on the Saturday and it ended up taking us nearly 3 hours to get there which was quite annoying. When we arrived we were speechless, it was tucked away down a little country lane and just sat amongst miles and miles of fields in every direction. After we had our massages we changed into our cozzies and dived right into the pool (which was actually very cold...) for a little swim before dinner. They also had an amazing jacuzzi which we spent about 80% of the time in. The bubbles were aggressive & I could feel them battling away my cellulite! A swim & a jacuzzi tired us out a little bit so we got dry & headed back up to the hotel room to lay down & watch BGT! For dinner I wore my Warehouse Peplum Top, Topshop Midi Skirt & Chockers Shoes Heels which were a complete bargain at just £15! They're not all that comfortable though because I am much more used to a platform so it feels a bit strange wearing strappy sandals. Half an hour before dinner we went down to the bar to have a cocktail, I ordered a strawberry daiquiri and it was delicious. I could've definitely drunk about 10 of them. I had tomato soup for starter which I didn't photograph - it was lovely but everyone knows what soup looks like? For my main I ordered a steak with hand cut chips, a mushroom & a tomato in a red wine sauce and it was sooo nice! We started eating quite late so as soon as we were finished we headed back up to the room to snuggle down for the night! Sunday morning saw us jumping out of bed at half past 9 to get down & have breakfast! 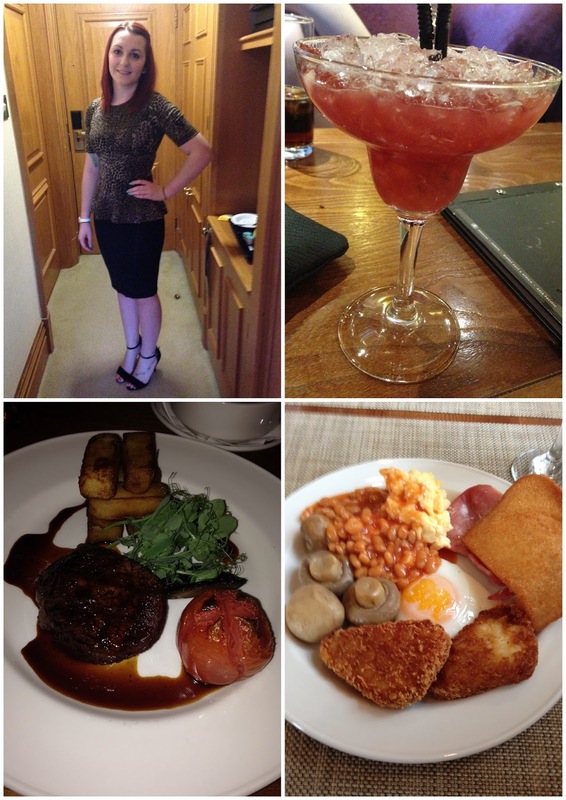 They had everything you could think of from bacon & eggs to weetabix & fruit! There was a variety of juices & the option of tea or coffee. As you can see I obviously went for a full English & some fried bread, my eyes were definitely bigger than my belly because I couldn't finish it all unfortunately. Soon after breakfast we checked out of the room & headed home - which only took us 2 hours win! If you live around the Gloucester area I 100% recommend this hotel & it has just made me want to go to the spa every weekend!